With its seven distinct regions Oregon has an adventure in store for everyone! Head to the Oregon Coast and take in a tranquil sunset on the beach or go east and hike among the painted hills and rugged desert terrain. Perhaps you’ll decide to carve out your own urban adventure in Portland Metro and take in the arts scene and lively nightlife. Oregon also offers great opportunities for golfers to hit the links with several golf courses and resorts that have been deemed ‘must plays’ by national and local golf publications. With its scenic vistas, meticulously maintained courses and mild weather, Oregon is a spectacular golf destination. 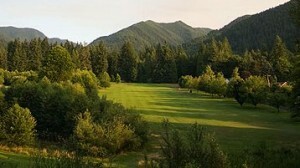 Interested in learning more about Oregon golf courses? Check out this GolfPatio.com Oregon course listing: The Courses. Search available tee times for Oregon golf courses and reserve online through our secure booking engine. Relax. You’ll Find a Tee Time!